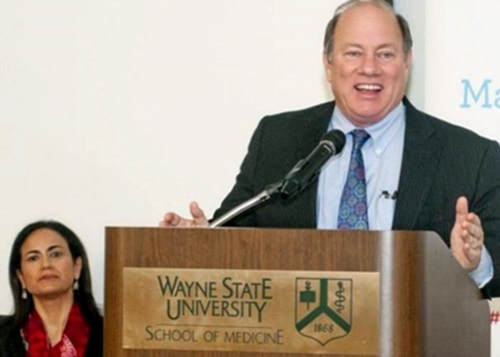 Detroit's inspector general has opened an investigation into Mayor Mike Duggan and the city's interactions with a nonprofit run by Wayne State University researcher Dr. Sonia Hassan, who has been rumoreed to be romantically linked to the mayor. "The OIG is duty-bound, pursuant to the Charter of the City of Detroit, to initiate and to pursue the investigation," a media release from the IG's office says. "In accordance with the charter, the investigation will focus on whether the mayor and/or any city officials potentially abused their authority by providing preferential treatment to the Make Your Date non-profit." The office would not say why specifically it launched the investigation. The city charter allows the office to open investigations at its own discretion or based on complaints. It does not require a specific standard of proof be met for an investigation to be opened. The Duggan administration said it welcomes the investigation. "An unbiased, thorough review of the facts will demonstrate that the central claims and unsubstantiated suggestions made by the Detroit Free Press are completely false," said Alexis Wiley, Duggan's Chief of Staff. "The City’s efforts entirely supported Wayne State University and its Make Your Date program. No city funds were ever provided to a Make Your Date non-profit and no private money was ever raised for it. Every dollar of city funds was provided to and managed by Wayne State University. Dr. Hassan, a world renowned expert in reducing preterm birth, volunteered her time for this program and never any received any compensation." Though the city has sought to distance itself from the nonprofit, the Free Press reported that contracts governing the grants all named both Wayne State and Make Your Date as recipients. Make Your Date is also registered as a nonprofit with the state and IRS.